As the blockchain space matures and diversifies, significant efforts are emerging to tackle some of the most difficult pain points of the current cryptosphere – education and engagement. The industry moves fast and is now outpacing the typical model of stale finance-oriented conferences. Now, it’s time for something more memorable. This is where Mondo.NYC is looking to lead that very shakeup with their upcoming festival and conference hybrid. From October 2-5, 2018 at several venues in New York, attendees will get to experience a full roster of action-oriented panel presentations and a whole lineup of live music performances. Leading entrepreneurs, music industry professionals, and blockchain aficionados will collide in this hybrid occasion looking to set the stage for a different kind of experience. 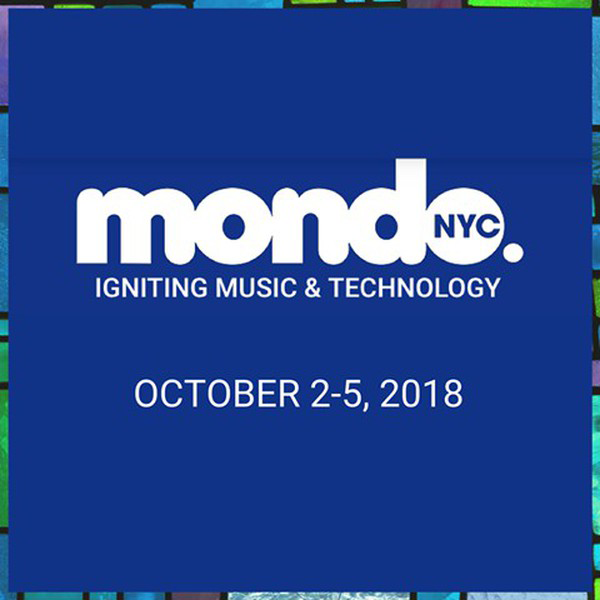 As part of our official media partnership with Mondo.NYC, we’re excited to bring you a series of articles with insight into the festival and many of the prominent speakers. Today, we had a chance to sit down with the Emerging Innovations team – Elliot Chun, Bill Kwok, Richard Malone, and Taylor Matthews – to hear what the big event is all about and what’s in store for New York City next week. The Creative Crypto (CC): Thank you for joining us! Tell us a bit of how Mondo NYC was formed and how you got started in driving this event. Founded by the creators of the CMJ music festival, Mondo.NYC started three years ago with the mission of spotlighting up-and-coming musicians. Last year, Mondo set up shop in NYU and hosted 1,200+ conference attendees and 7,500 event attendees – but was dedicated solely to music. This year, Mondo decided to expand its focus towards emerging technology, creating a comprehensive festival experience similar to that of an early stage SXSW. CC: How did you come to creating a major event like this and integrating blockchain technology? In years past, Mondo was solely dedicated to music discovery. This year, the Emerging Innovations (EI) team was approached by the founders of Mondo to infuse emerging technology into Mondo programming. We have all worked separately in the blockchain industry in the past, so we are big believers in the long-term relevance and viability of the technology and have deep industry connections. Also, though “blockchain” is a buzzword, not many people understand what blockchain is or how it works. Therefore, we feel it’s important to emphasize blockchain in Mondo’s emerging technology programming. We are believers that the velocity of innovation is too fast to not highlight the other emerging technologies shaping our future – AI, VR/AR, Quantum Computing, distributed energy resources, etc. CC: What are you hoping to will be the result of this Brooklyn-centric series? 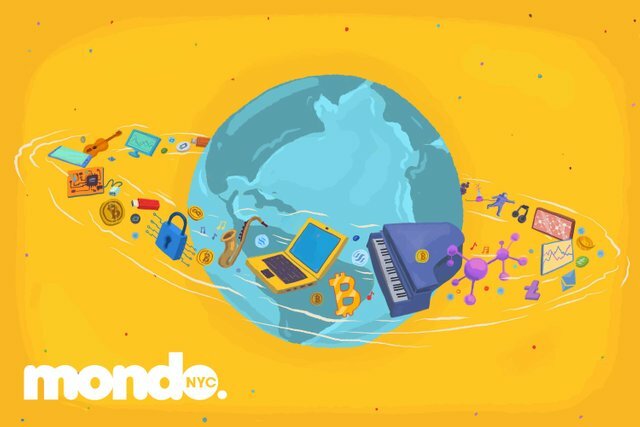 We want Mondo.NYC to be recognized as that tech conference that broke away from the mold. We do everything possible to differentiate ourselves from the same rote content and experience as the hundreds of other blockchain conferences. For example, artists perform a short solo before every panel. We have multiple evening parties at venues around the city. We also have music programming, enabling tech-focused attendees to mix it up and enjoy some content they otherwise wouldn’t access or be exposed to. 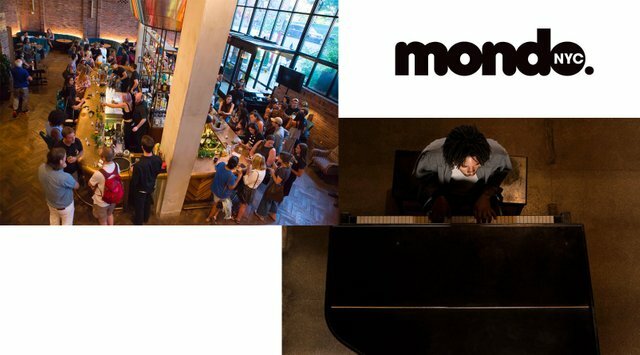 We believe Brooklyn is the perfect home for Mondo.NYC, as we are perfectly aligned with the ethos of the neighborhood – progressive, artistic, tech-forward, and unpretentious. We intend to make Mondo.NYC an educational, fun, and impactful annual staple in NYC’s conference culture. CC: Are there any particular speakers and panels that you’re excited about? Speakers include Thomas Emmanuel from SONM, Nick Saponaro from DIVI, and Andrew Levine (@andrarchy) from Steemit. This one is all about leveraging different products and opportunities in blockchain to generate some extra cash and setting up a basis for entrepreneurship. Speakers include Chris Fabien from UNICEF innovation fund, Reggie Middleton from Veritaseum, Jordan Lejuwaan from Futurism, and Susanna Choe from Peace Accelerators. Here we’ll discuss the developing ecosystem of impact investing. Impact – Why Blockchain and Tech Are Critical for the Environment and Society. Speakers include Xander Shultz from Galaxy Investment Partners, Karen Bhatia from NYCEDC, Scott Kessler from LO3, and Robert Elding from Lancor Scientific. This is more big-picture discussion, concerned with the overall and future impact of integrating blockchain. We are also very excited to have Todd Morely, cofounder of Guggenheim Partners, as our opening speaker to start off the whole event. CC: Why do you think creative professionals and entrepreneurs should come to this event? They should come to the event for a multitude of reasons. First and foremost, we’re going to have some fun. There are diverse musical performances before every panel and at the evening venues, we’ll add a unique component not yet seen in every other tech conference out there. Our panels offer education on relevant topics shaping the future of tomorrow, and in particular creative industries. We have startup workshops, investor events, and blockchain education courses to enable collaboration, networking, and interactive learning experiences. Put simply, we want people to get educated, network with relevant people in the industry, and just have a great time at the conference and during night! Big thanks to the EI team for providing an in-depth look into the upcoming festival! Our team will also be presenting and participating throughout the schedule so drop by and say hello. For anyone interested in attending the event, we also have a unique discount code [20% off] for our Steemit readers – mondosndbox. Be sure to stay tuned at The Creative Crypto for further interviews and coverage from the event. This music festival x tech conference will be a great setting to talk all things Steem. We're excited to see @andrarchy presenting on behalf of Steemit Inc. and @sndbox's Michael Lee speaking about our incubator / magazine. 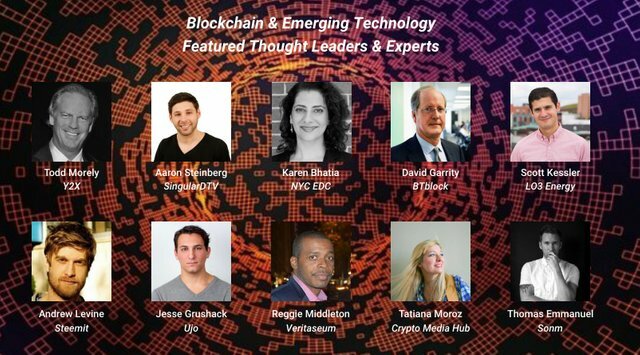 Next week is all about connecting with blockchain industry leaders and outreach among awesome musicians in Brooklyn! waooo... this is intriguing i mean, good one heee..
Any thoughts with this event? Hi. Thanks for your post. It is very good. I love the music. Something that seems like a pulsemeter, thanks guys. This looks like am amazing sort of festival, only I still really haven't a clue about blockchain. Including our current hardfork, I'm still not sure what is happening but I did my first proper post today for the first time in a week or so and am happily now upvoting. I don't know how quickly our mana goes down, but I shall find out! That's a captivating strategy to attract more people to offer awareness for the good!! yea you a guitar player too..... nice to have a colleague. it really gets to me whenever i see people playing it .... i feel "yeah i belong here"